JNN 03 Mar 2014 Kiev : On February 23, amid rising violence in Ukraine, the parliament ousted Yanukovych and named Oleksandr Turchynov, the legislature’s speaker, as interim President. Ukraine’s Right Sector, the ultra-nationalist street fighting group that targeted police prior to the coup in Ukraine, has called for Doku Umarov to fight in a war against Russia. According to media reports, his most recent threat was against the Olympics in Sochi, Russia. No terrorist attacks, however, occurred during the games. Russian media reports the appeal to recruit Umarov was issued by Dmitry Yarosh, the leader of the ultra-nationalist and fascist Right Sector. The group is aligned with other extreme nationalist groups in Ukraine, including “Trident,” Patriot of Ukraine, “White Hammer” and the Ukrainian National Assembly – Ukrainian National Self Defense. Although it is not associated with the largest nationalist political party in the country, Svoboda, it has “a lot of common positions when it comes to ideological questions,” according to Yarosh. In April, 2013, reports of Umarov’s shady connections with the US intelligence emerged, the Infowars writes in a report. According to research conducted by Eric Draitser and others, Umarov’s Kavkaz Center was funded by the State Department and several supporting fronts including the National Endowment for Democracy-funded Russian-Chechen Friendship Society. 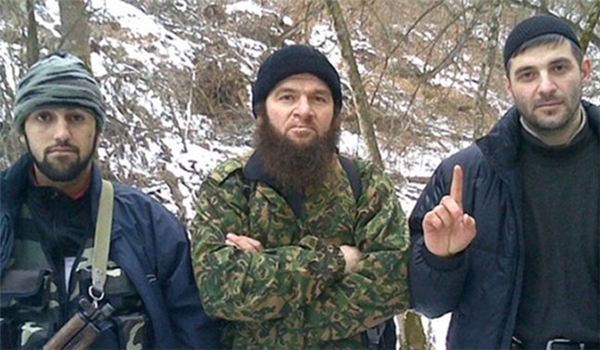 The militant Chechen effort to undermine Russia is supported by a number of influential neocons. “Despite the fact that organs such as Kavkaz Center operate in the service of terrorists who advocate the destruction of Russia, their activity alone is not altogether significant if seen in a vacuum,” writes Draitser. Rather, it is the association of these types of individuals and organizations with the US State Department and US intelligence that makes them particularly insidious. One such entity that bears scrutiny is the American Committee for Peace in the Caucasus (ACPC), previously known as the American Committee for Peace in Chechnya. As reported by Right Web at the Institute for Policy Studies, “The ACPC was founded in 1999 by Freedom House, a neoconservative organization that has worked closely with the US government, receiving funds from the National Endowment for Democracy and other US democratization initiatives. ” This intimate relationship between the ACPC and the US State Department indicates not merely a confluence of interests, but rather a direct relationship wherein the former is an organ of the latter. This entry was posted in Europe, United States and tagged Doku Umarov, Russia, Ukraine. Bookmark the permalink.